On Las Vegas' casino playing field, Red Rock Resorts has seriously upped its stake in the city with a big news buyout. 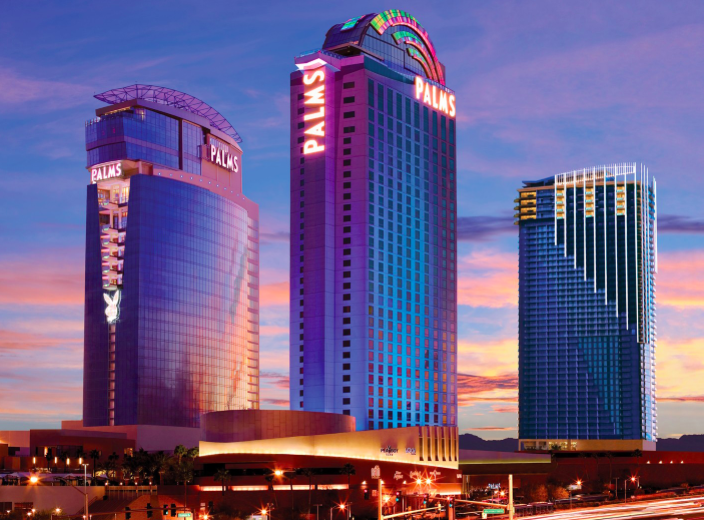 For a whopping $312.5 million, it has acquired the Palms Casino Resort, which features a 95,000 square foot casino together with 710 hotel rooms including 85 suites and 19 penthouses. If you've not seen, it's a pretty swish space. For this move, private equity firms TPG Capital and Leonard Green & Partners, who have been majority owners of the property since 2011, have sold their respective 49% stakes. George Maloof, whose family started the casino back in 2001, was left with just a 2% stake following the 2011 investment measure. World renowned for its gambling culture and awash with casinos, the city has been a longstanding hotspot for many a gamble-happy tourist. However, during the recent recession, Palms experienced some significant financial difficulty so it'll be interesting to see if this new ownership will restore Palms to its former glitzy glory despite the ever emerging competition. In this way, it looks likes Red Rock Resorts is confident and is anticipating bringing in $35 million just in its first year of ownership. Executive VP, CFO and treasurer Marc Falcone explains, “With the acquisition of the Palms, we gain a leading gaming asset in Las Vegas with key strategic benefits in the Las Vegas locals market and close proximity to the Las Vegas Strip”. Well located for attracting both locals and tourists alike, it's fair to say the Red Rock Resorts team are optimistic about the year ahead. The same can also be said for the team at Palms with its president and CEO Todd Greenberg stating, “We are extremely excited for all the great opportunities our team members will have with Red Rock Resorts and Station Casinos”. Still dependent on state and federal regulatory approval, the deal should be closed by mid-autumn this year so we'll eagerly watch this space.